PDF Converter is an easy way to create or convert PDF files. The software is available for Desktop users as well as Free PDF converter online. Read about how to use this amazing application in the article. In these modern times, the advances in technology allowed us to simplify the way we work in many different ways. The need to store massive amounts of paper documents in our office has drastically declined with the increase of the capacity of hard drives and the rise of cloud storage services online. This means that now you can spend less time looking for a specific piece of paper hidden somewhere in your office, buried under a pile of other paper, because you have everything scanned and neatly saved on your computer, at your disposal. This also means that you will have a lot more free space, as we know how big these piles of documents can actually get. This digitization of important data also has a moral aspect to it, besides the obvious advantages for the usual business man. It lessens the quantity of trees needed for the paper that we use during our work, and nowadays that is a very important global issue, as we all know. So, turning hard copy documents into their electronic counterparts is as good for the people as it is for our planet. There is one type of file format that beats all others when it comes to practicality, especially for sharing and sending data to other users, and that is the PDF. The PDF, which stands for Portable Document Format, is the only format that can be viewed on any device (phones, tablets, computers) and on all operating systems (Windows, Macintosh, Linux) with unchanged formatting, without any issues with the layout. 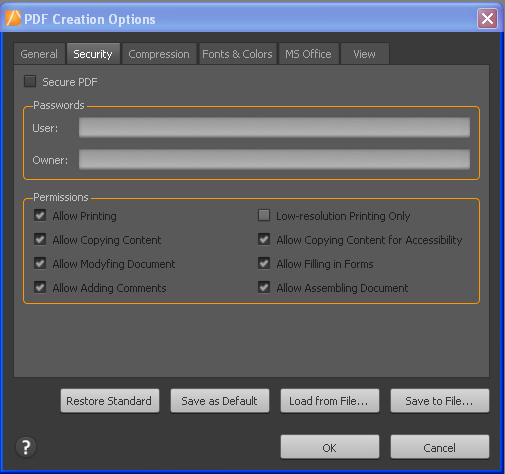 Many applications have the option to save a file in PDF form, because of the unique capabilities that this file has. PDF is also fantastic for important and sensitive documents that are not for everyone's eyes, because it can be secured very easily with passwords by using specialised PDF management programs. Another very troubling issue with PDF files is that many of them are scanned, and those types of documents are even more difficult to edit. A scanned PDF file is basically any paper file that was scanned and saved in the form of a PDF file. In order to modify that kind of file, the program for PDF management that you are using has to have an OCR option. OCR (Optical Character Recognition) is a specific algorithm that can visually differentiate characters that a file contains, which is absolutely necessary for editing scanned PDFs. Not all PDF software programs have this option, and not all programs that do have OCR are reliable. That is why it's important to first test an OCR tool before committing to using it for important documents. The OCR technology is still not ideal, so if a document wasn't scanned properly, it will be extremely difficult to convert it accurately. However, it won't be so long until these tools become much smoother and almost perfect. 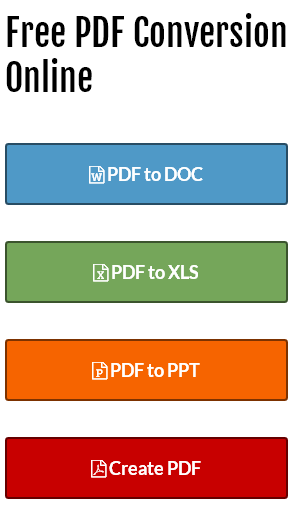 PDF Converters- What is their purpose? PDF converter tools are a bare necessity if your line of work implies receiving and editing documents, and that covers a wide array of different careers, ranging from accounting, education, the legal profession and many others. There are two types of converter tools: free online tools and premium paid desktop software. The following is a short description of a PDF converter that offers both free and premium PDF programs that are among the best you can find today. PDF Converter covers both sides of the medal, with a professional desktop program, PDF Converter Elite 4, ideal for users who have more frequent and serious demands of their conversion tool, and Free Online Converter, which is a great choice for all users who don't need to convert many different types of files on a regular basis. Both of these tools do the job they are designed for perfectly. Read more at http://www.pdfconverter.com/. 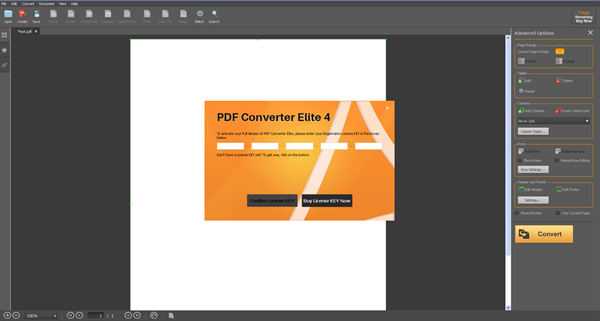 With PCE4 you can convert your PDF file to just about any editable format (Word, Excel, PowerPoint, Publisher, OpenOffice, HTML, AutoCad and JPEG), extract specific parts of the file you wish to convert, easily edit your old PDFs, and create new PDF files in just a few clicks. It also has the ability to secure the desired file, allowing you to choose who has access to your documents. An amazing advantage of using conversion tools is that they offer a possibility to revamp old documents so they can be reused and edited, which shortens the time spent on re-typing and similar tedious actions, and increases overall productivity. As mentioned before, there are many good reasons for using scanned documents, ranging from spending less time creating new documents when you can edit and use the old ones, to having more space in your office. Besides, finding old files is much easier when it's done on your computer than when they are searched for manually. Securing important files is always imperative, and with the PCE4 it can be done at a moment's notice. Then you can relax knowing that only the people with adequate passwords you created can read and edit your sensitive information. You can also choose the amount and type of changes a third party can make to your document by selecting desired options that the user can or cannot perform. For example, you can allow only adding comments to your file but you can forbid printing the file or copying the content. Custom PDF to Excel feature allows you to personalize the formating and the structure of a document before converting it to a Microsoft Excel spreadsheet. You can edit the positions and the number of columns, rows and much more, so that your Excel output will look exactly the way you want it to. You can add or delete rows, tables, columns and even preview the customization before converting your file. So, in conclusion, if you are a business professional that greatly relies on a constant exchange of information and documents with colleagues, the PDF Converter Elite 4 is a perfect match for you, and its advanced options will fulfill your needs, no matter how complex your documents are. But if all this seems like it's a lot more than what you require, then you will probably be more than satisfied with the PDF Converter's Free PDF Conversion Online. PDF Converter's Free PDF Conversion Online is a fantastic tool for all users who don't exchange documents on an everyday basis, and use only the basic types of files, like Word, Excel and PowerPoint. The first step is choosing one of four different options (Convert to DOC, Convert to XLS, Convert to PPT, and Create PDF). Then you need to select the file you wish to convert (or make a PDF out of), from your computer. The final step is entering a valid email address. Once you click on the "Start" button, you will receive a notification email. There you will find a link to the page where you can download your converted file. Between the free online tool and PDF Converter Elite 4, there is something for everyone, depending on the requirements that a user has. Both tools have very reliable features, and the biggest difference lies in the number of conversion options that a user has. So, if you think that the online tool doesn't have all the necessary benefits that you need, you can download PDF Converter 4 trial version and check if it is a better fit. Document editing and conversion in general is a very important aspect in many different professions, and a lot of people still struggle with this. They do things the hard way because they lack the information on how to make their work a lot simpler, and cut the time needed for seemingly complicated things by doing them in a way that's more productive. Hopefully we clarified some issues that are important for every business professional, and if you find yourself in any of these examples, give these versatile tools a try. I often need to convert the Word documents to PDF. But I have observed that good PDF converters are quite expensive. That makes them unusable from the budget point of view. I regularly use online PDF converters for my PDF requirements. But, one of the best PDF converters I have found is FoxIt PDF express. It came pre installed with my HP Laptop. I do not know whether it is available for free for non HP users. I must say it has quite good features. It also has an add-on for MS Word, Excel and other software. That makes it more of a practical tool.